Hey Adrian, thanks for all the tutorials on deep learning. You’ve really made deep learning accessible and easy to understand. I have a question: Can I do deep learning on the Raspberry Pi? What are the steps? The question really depends on what you mean by “do”. You should never be training a neural network on the Raspberry Pi — it’s far too underpowered. You’re much better off training the network on your laptop, desktop, or even GPU (if you have one available). That said, you can deploy efficient, shallow neural networks to the Raspberry Pi and use them to classify input images. You should not be training neural networks on the Raspberry Pi (unless you’re using the Pi to do the “Hello, World” equivalent of neural networks — but again, I would still argue that your laptop/desktop is a better fit). With the Raspberry Pi there just isn’t enough RAM. The processor is too slow. And in general it’s not the right hardware for heavy computational processes. Instead, you should first train your network on your laptop, desktop, or deep learning environment. Once the network is trained, you can then deploy the neural network to your Raspberry Pi. In the remainder of this blog post I’ll demonstrate how we can use the Raspberry Pi and pre- trained deep learning neural networks to classify input images. Restricted memory (only 1GB on the Raspberry Pi 3). This makes it near impossible to use larger, deeper neural networks. Instead, we need to use more computationally efficient networks with a smaller memory/processing footprint such as MobileNet and SqueezeNet. These networks are more appropriate for the Raspberry Pi; however, you need to set your expectations accordingly — you should not expect blazing fast speed. In this tutorial we’ll specifically be using SqueezeNet. Figure 1: The “fire” module in SqueezeNet, consisting of a “squeeze” and an “expand” (Iandola et al., 2016). SqueezeNet was first introduced by Iandola et al. in their 2016 paper, SqueezeNet: AlexNet-level accuracy with 50x few parameters and <0.5MB model size. The title alone of this paper should pique your interest. State-of-the-art architectures such as ResNet have model sizes that are >100MB. VGGNet is over 550MB. AlexNet sits in the middle of this size range with a model size of ~250MB. In fact, one of the smaller Convolutional Neural Networks used for image classification is GoogLeNet at ~25-50MB (depending on which version of the architecture is implemented). The real question is: Can we go smaller? As the work of Iandola et al. demonstrates, the answer is: Yes, we can decrease model size by applying a novel usage of 1×1 and 3×3 convolutions, along with no fully-connected layers. The end result is a model weighing in at 4.9MB, which can be further reduced to < 0.5MB by model processing (also called “weight pruning” and “sparsifying a model”). In the remainder of this tutorial I’ll be demonstrating how SqueezeNet can classify images in approximately half the time of GoogLeNet, making it a reasonable choice when applying deep learning on your Raspberry Pi. Interested in learning more about SqueezeNet? 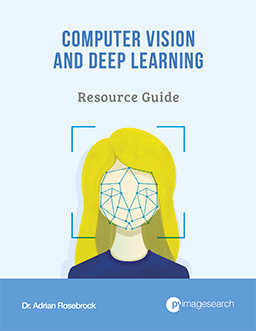 If you’re interested in learning more about SqueezeNet, I would encourage you to take a look at my new book, Deep Learning for Computer Vision with Python. Explain the inner workings of the SqueezeNet architecture. Demonstrate how to implement SqueezeNet by hand. 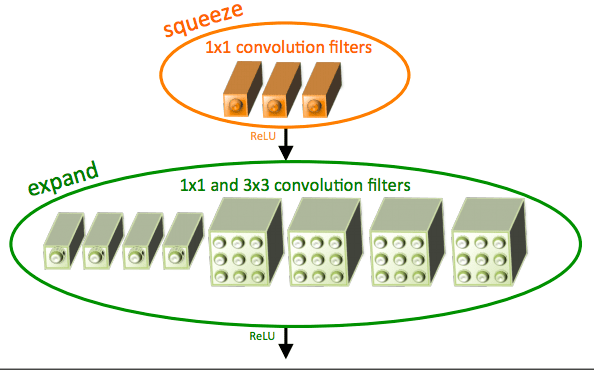 Train SqueezeNet from scratch on the challenging ImageNet dataset and replicate the original results by Iandola et al. Go ahead and take a look — I think you’ll agree with me when I say that this is the most complete deep learning + computer vision education you can find online. The source code from this blog post is heavily based on my previous post, Deep learning with OpenCV. I’ll still review the code in its entirety here; however, I would like to refer you over to the previous post for a complete and exhaustive review. Lines 2-5 simply import our required packages. --prototxt: The path to a Caffe prototxt file which is essentially a plaintext configuration file following a JSON-like structure. I cover the anatomy of Caffe projects in my PyImageSearch Gurus course. --model : The path to a pre-trained Caffe model. As stated above, you’ll want to train your model on hardware which packs much more punch than the Raspberry Pi — we can, however, leverage a small, pre-existing model on the Pi. --labels : The path to class labels, in this case ImageNet “syn-sets” labels. Go ahead and open synset_words.txt found in the “Downloads” section of this post. You’ll see on each line/row there is an ID and class labels associated with it (separated by commas). Lines 20 and 21 simply read in the labels file line-by-line ( rows ) and extract the first relevant class label. The result is a classes list containing our class labels. Then, we utilize OpenCV to load the image on Line 24. Be sure to make note of the comment preceding our call to cv2.dnn.blobFromImage on Line 31 above. Common choices for width and height image dimensions inputted to Convolutional Neural Networks include 32 × 32, 64 × 64, 224 × 224, 227 × 227, 256 × 256, and 299 × 299. In our case we are pre-processing (normalizing) the image to dimensions of 227 x 227 (which are the image dimensions SqueezeNet was trained on) and performing a scaling technique known as mean subtraction. I discuss the importance of these steps in my book. Note: You’ll want to use 224 x 224 for the blob size when using SqueezeNet and 227 x 227 for GoogLeNet to be consistent with the prototxt definitions. We then load the network from disk on Line 35 by utilizing our prototxt and model file path references. In case you missed it above, it is worth noting here that we are loading a pre-trained model. 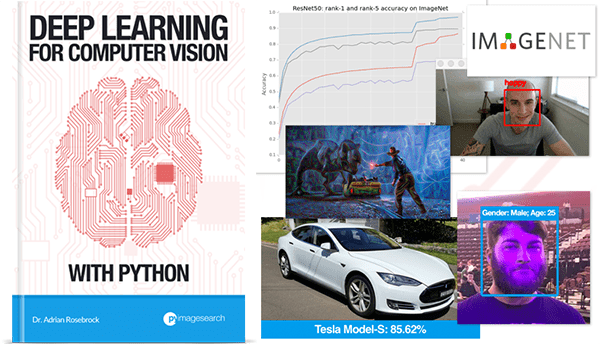 The training step has already been performed on a more powerful machine and is outside the scope of this blog post (but covered in detail in both PyImageSearch Gurus and Deep Learning for Computer Vision with Python). To classify the query blob , we pass it forward through the network (Lines 39-42) and print out the amount of time it took to classify the input image (Line 43). We can then sort the probabilities from highest to lowest (Line 47) while grabbing the top five predictions (Line 48). We draw the top prediction and probability on the top of the image (Lines 53-57) and display the top-5 predictions + probabilities on the terminal (Lines 61 and 62). Finally, we display the output image on the screen (Lines 65 and 66). If you are using SSH to connect with your Raspberry Pi this will only work if you supply the -X flag for X11 forwarding when SSH’ing into your Pi. 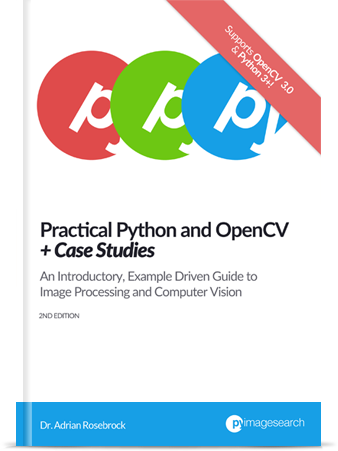 To see the results of applying deep learning on the Raspberry Pi using OpenCV and Python, proceed to the next section. As we’ll see, SqueezeNet is much smaller than GoogLeNet (5MB vs. 25MB, respectively) and will enable us to classify images substantially faster on the Raspberry Pi. To run pre-trained Convolutional Neural Networks on the Raspberry Pi use the “Downloads” section of this blog post to download the source code + pre-trained neural networks + example images. 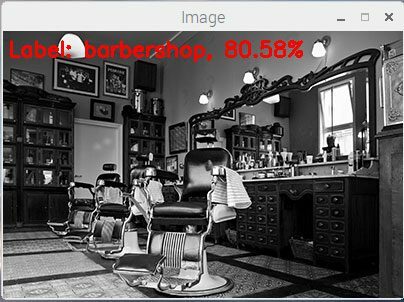 Figure 3: A “barbershop” is correctly classified by both GoogLeNet and Squeezenet using deep learning and OpenCV. …but in only 0.9 seconds! As we can see, SqueezeNet is significantly faster than GoogLeNet — which is extremely important since we are applying deep learning to the resource constrained Raspberry Pi. 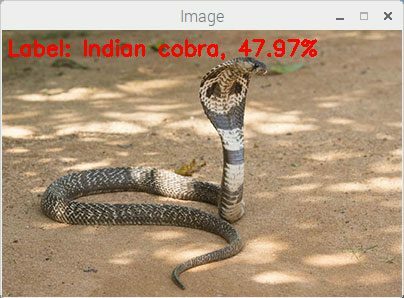 Figure 4: SqueezeNet correctly classifies an image of a cobra using deep learning and OpenCV on the Raspberry Pi. 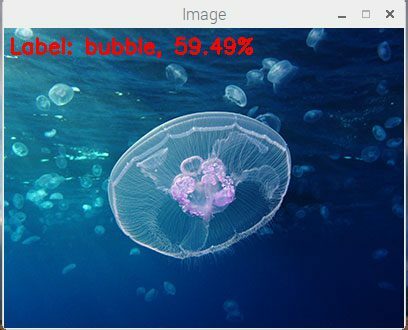 Figure 5: A jellyfish is incorrectly classified by SqueezNet as a bubble. Here we see the top prediction by SqueezeNet is “bubble”. While the image may appear to have bubble-like characteristics, the image is actually of a “jellyfish” (which is the #2 prediction from SqueezeNet). Today, we learned how to apply deep learning on the Raspberry Pi using Python and OpenCV. Never use your Raspberry Pi to train a neural network. Only use your Raspberry Pi to deploy a pre-trained deep learning network. The Raspberry Pi does not have enough memory or CPU power to train these types of deep, complex neural networks from scratch. In fact, the Raspberry Pi barely has enough processing power to run them — as we’ll find out in next week’s blog post you’ll struggle to get a reasonable frames per second for video processing applications. If you’re interested in embedded deep learning on low cost hardware, I’d consider looking at optimized devices such as NVIDIA’s Jetson TX1 and TX2. These boards are designed to execute neural networks on the GPU and provide real-time (or as close to real-time as possible) classification speed. In next week’s blog post, I’ll be discussing how to optimize OpenCV on the Raspberry Pi to obtain performance gains by upwards of 100% for object detection using deep learning. To be notified when this blog post is published, just enter your email address in the form below! Nice detailed post. Thank you. Hi, Dr. Adrian! Should not the size of the input image be 227×227 as reported in the prototxt file? And just to be perfect as always, there is a typo on line “Train SqueezeNet from scratch on the challenging ImageNetd ataset and replicate the original results by Iandola et al.” 😉 Thanks a lot for your posts! Thank you for reporting the typo, Flávio! I have fixed it now. As for SqueezeNet, yes, it should be 227×227 as that is what the prototxt reports. I have updated that typo as well. 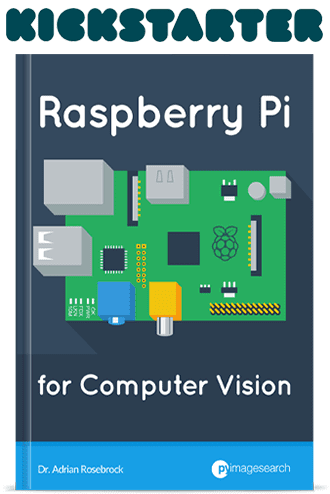 does your book “deep learning for computer vision” is useful to work with raspberry pi? You can go through the vast majority of the Starter Bundle of Deep Learning for Computer Vision with Python on the Raspberry Pi, but not the Practitioner Bundle or ImageNet Bundle. As I mentioned in the blog post you should really be using your laptop or desktop if you intend to train neural networks with scratch. if I set a cluster with 2 or 4 raspbery pi 3, will increase the processing speed considerably? if we use it to deploy a pre-trained deep learning network. Not really, because at that point you’ll be dealing with network I/O latency at inference time. You’ll need a faster system if you need quicker classifications. please make a tutorial for Drowsiness detection with raspberry pi. I will be doing a Raspberry Pi + drowsiness detector later this month (October 2017). Hi Kiran — I don’t have any a page dedicated where readers can share their benchmarks using deep learning and the Raspberry Pi, but I’ll definitely consider this for the future. Thank you, Adrian! Excellent job! I just want to add that model’s size isn’t an exhausting way to estimate inference time. For example, ENet architectire has ~10MB as all weights, but takes a lot of computations and time to apply these weights. OpenCV’s dnn has functions to get FLOPs for model without inference. Hi Aleksandr — you’re absolutely right, examining model size is not an exact way to measure inference time. I was instead referring to the limited RAM available on the Raspberry Pi and that users need to be careful not to exhaust this memory. 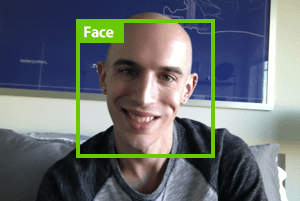 The new ResNet-based SSD face detector sounds very interesting as well! I’ll be sure to take a look at this. Hi Adrian. Thanks a lot for these tutorials. Will next weeks blog post cover how to detect objects from a live video stream on the Raspberry Pi and Picam module? Hi Abrie — next week’s blog post will be on optimizing OpenCV and milking every last bit of performance out of it. 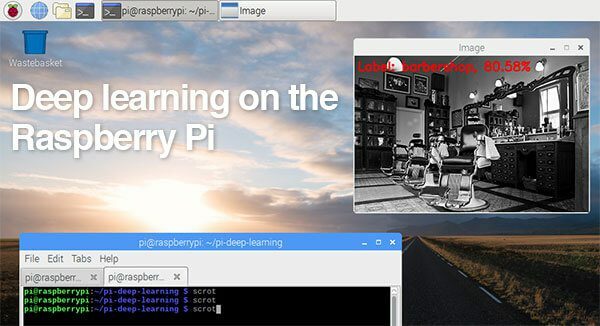 The following week will then cover deep learning-based object detection on the Raspberry Pi. THANK YOU! I downloaded the .py source for this squeezenet demo.. After building python3.6 and then opencv3.3 with tinydnn needed for dnn in cv (or was it?) all in a docker (and not on a Pi), this demo.tutorial worked for me first time. I am now tempted to take the twenty-one day course. Please see this post where discusses the SSD object detector that includes a “person” class. Can the googlenet and squeezenet models be used for object detection too (not classification), or do I need different models? No, you cannot swap out arbitrary networks. The network needs to follow a certain object detection framework such as SSD, R-CNN, YOLO, etc. Networks train for strictly image classification cannot be directly used for object detection to predict the bounding box around an object in an image. I’ll be covering how to train your own custom object detection networks inside Deep Learning for Computer Vision with Python. Do you know of squeezenet or googlenet (or resnet) ssd pretrained models? I only tried once just for fun:P.
But being serious this is very usefull lesson lerned. Imagine you have to count something in the field or what so ever. Something – somewhere without electricity plugin, no IP connection. Middle of Alaska! R-pi is very good choice to power it from solar panel (~5 wats), plugin camera, load pre-trained dnn and classify. Spend 35 bucks on sale and there you go! But if you have more money you can always play with very nice Nvidia Jestson platform ;). But it’s always a matter of costs. You can always have your R-pi and connect it to Irirdium if you have to collect a lot of data and make a lot of dnn operations on server. I am getting this error !! Hey Eric — based on your error, it seems that OpenCV cannot access your webcam. I assume this is a USB webcam? If so, what model of webcam? I am facing a similar error. When I initialize the VideoCapture object with the camera index, I get the error ‘VIDIOC_QUERYCTRL: Input/output error’. I tested the camera using a Video Calling app on RPi and the camera works fine on that. Are you using a USB camera? Or the Raspberry Pi camera module? Which python do you use in your tutorial, 2.7 or 3.4,3,5,3.6? I primarily use Python 3.4 and Python 3.5 now, but earlier tutorials use Python 2.7 as well. I try to use all of them. Make sure you are running OpenCV 3.3+. The “dnn” module was not added until OpenCV 3.3. THis is too cool. I followed your tutorial on installing openCV on Raspberry Pi, then ran this code against that setup, and it runs, so great, thanks for publishing. I have your Practical CV bundle from 2015, and will be using this Pi to learn on. DO you have a recommended VM for learning on a laptop? Hey Bruce! I’m so happy you found the tutorial helpful, that’s awesome. 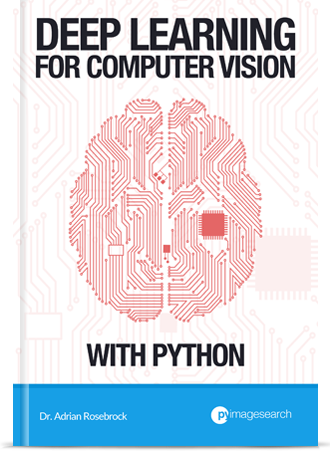 I have a VM included in my new book, Deep Learning for Computer Vision with Python that would be suitable for you to run on your laptop and use it for learning. Let me know if you have any questions about it. Can you please tell how to train a squeezeNet network for our own set of images ? I have a number of tutorials on how to train your own custom CNNs. I would suggest starting with this introductory post to help you get started. If you would like to train SqueezeNet totally from scratch be sure to take a look at my book, Deep Learning for Computer Vision with Python where I explain (and provide code) how to train SqueezeNet on your own custom data. Is there a way to improve the performance? I used the Intel Neural Stick but it has many limitations. Is it possible to use cloud computing with raspberry pi? You could use cloud computing but keep in mind there will be latency between the Pi uploading the image to the cloud, the cloud processing the image, and then the cloud sending the result back.